In 2017, she wore a dress with President Trump‘s “Make America Great Again” slogan emblazoned on the front. One year later, singer Joy Villa hit the red carpet in a white bridal dress painted with a rainbow-colored image of a fetus. 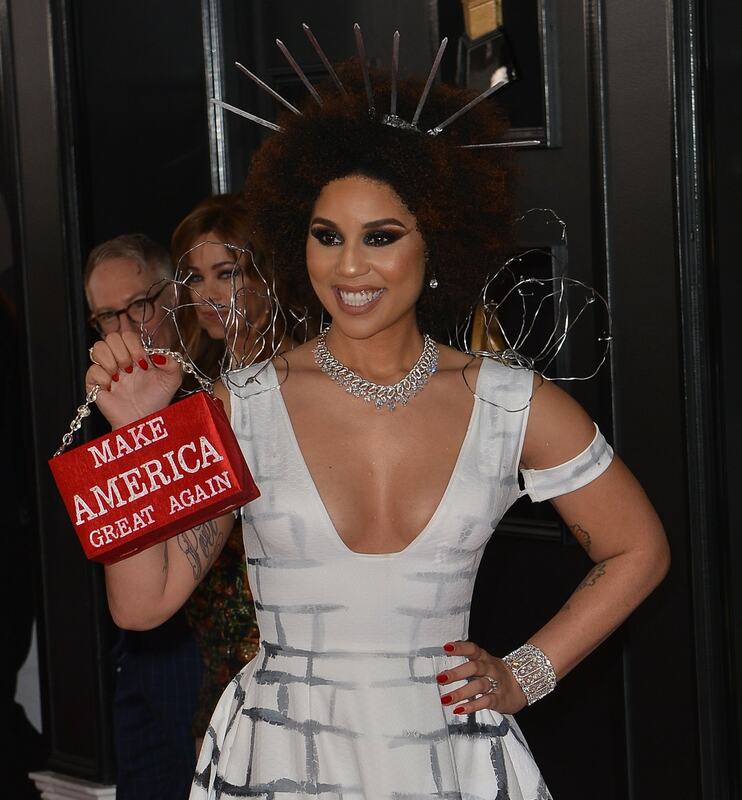 This year, Joy Villa made another controversial statement with fashion at the 2018 Grammy Awards held at Madison Square Garden on Sunday in New York City. The 31-year-old singer-songwriter wore a ‘build the wall’ dress by Desi Designs Couture featuring barbed wire. She also carried a Make America Great Again handbag. The back of the dress revealed Trump’s ‘Build The Wall’ slogan. While Ivanka Trump’s fashion brand shut down last year, you can still find her shoes on sale at Amazon. We would not be surprised if Joy wore a pair of shoes from Donald Trump’s daughter.